Visited Kampachi at Pavilion, 6th floor for the first time. 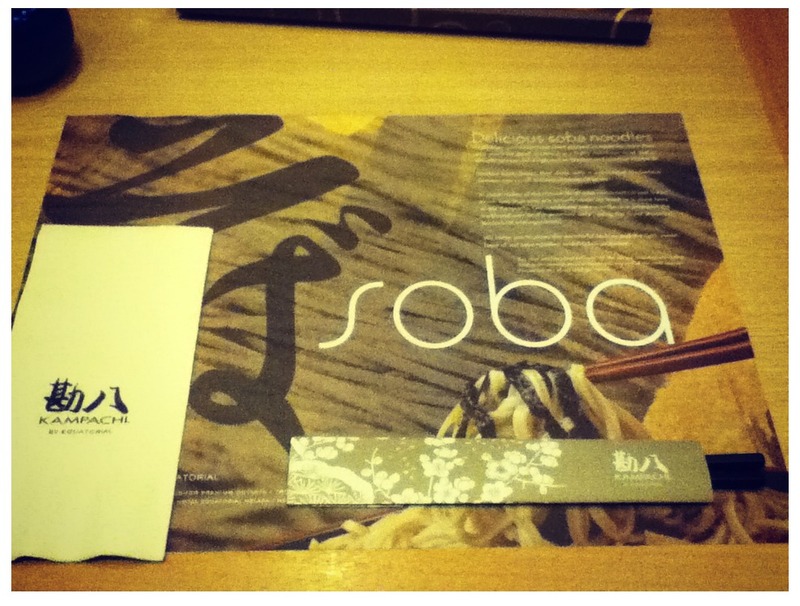 I had to admit, this visit changed my life, my view and my selection towards Japanese food, a whole lot of it. I just knew it was a branch from Equatorial Hotel's after looking at foursquare tips. First experience of Japanese Fine Dining, probably the first time to have food that's so expensive I kinda rubbed my eyes when going through their menu. lol. 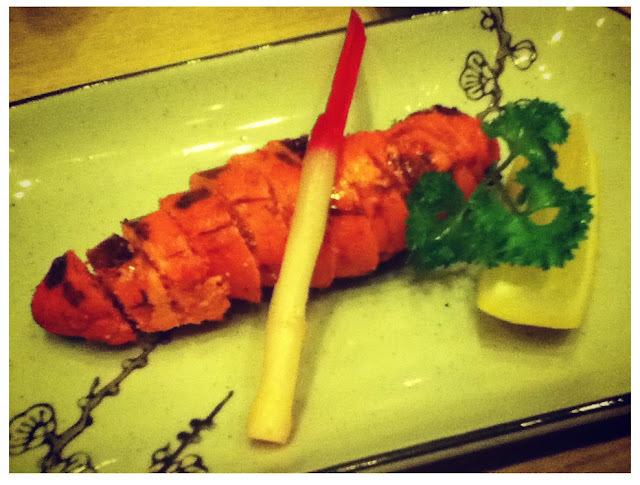 I gulped when I saw one piece of Uni Gunkan Maki costs about RM40! ONE PIECE ONLY!!! I didn't ordered that, and now I kinda regret that I didn't. After years of eating Japanese food, this is the first time I ever heard of flavoured Japan green tea. When the waitress asked us what flavour of green tea we would like to order, I kinda stunned. Eh? Flavour? I thought there's only one taste of green tea, which is GREEN TEA or Genmai Tea which both tasted almost the same. Hahaha. Apparently the world is so big and I only know about 0.010% of it. lol. 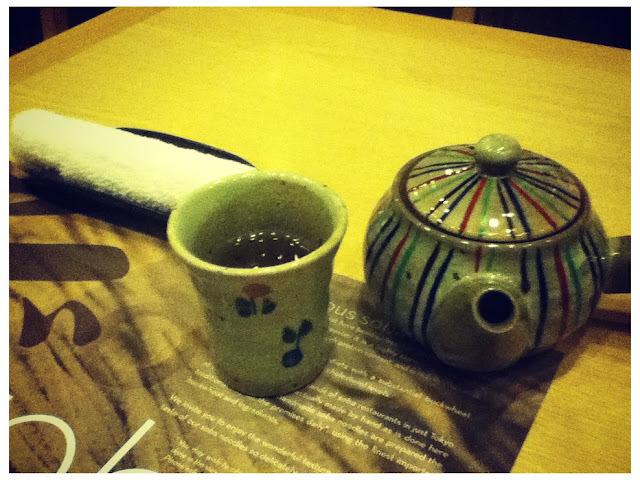 We had peach green tea. There's still many selection of green tea from different prefecture of Japan, quite expensive too. 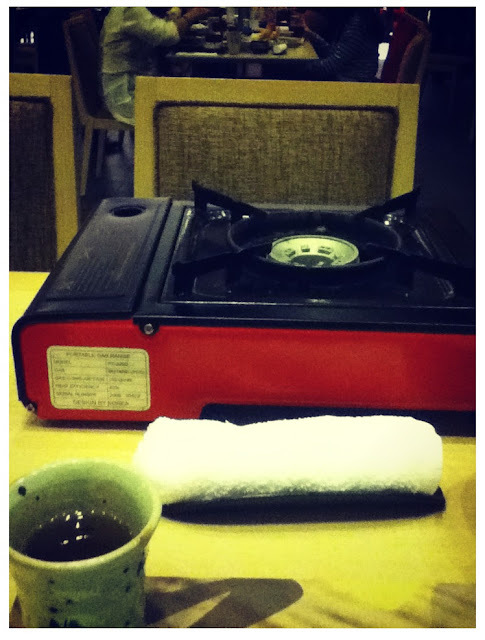 Then... We decided to order some Gunkan Maki, Mentaiyaki and Wagyu Sukiyaki. 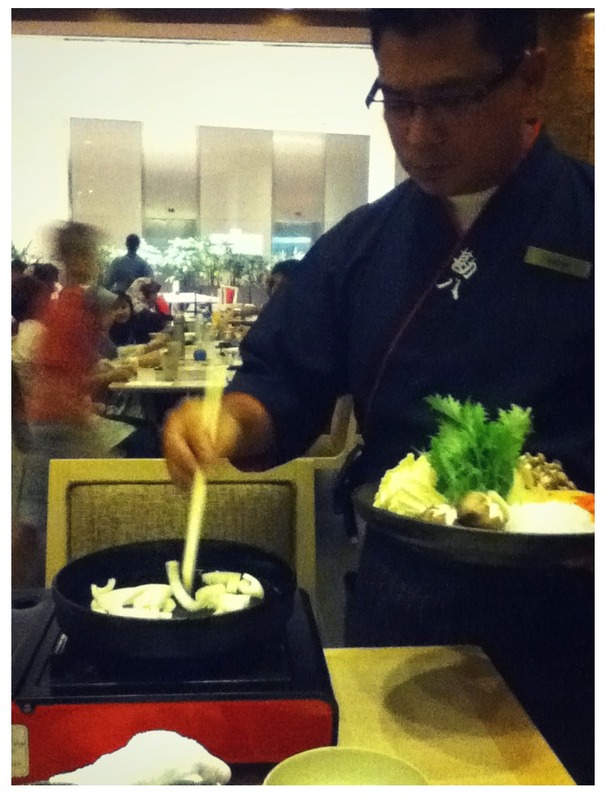 Kinda excited because I'm expecting super fresh Wagyu beef and this is my first time trying Sukiyaki as well. LOL. So many 'first time' I'm like kampung girl *paiseh max*. You probably saw quite a few times of me saying this but still I have to say it: This is my very FIRST TIME consume raw fish, and my friend were like: How can! Hahaha. I know I know, I missed a lot of sashimi in my life but now, I've learned to appreciate the superb taste of it and I will never ever miss it again. I guess I have to give Kampachi credit for giving me the courage to try their salmon sushi because I believe they serve super fresh salmon to their customer. When I place the salmon into my mouth, the fish meat kinda 'melted', along with the aroma of rice and wasabi, my taste buds were jumping and dancing in joy. 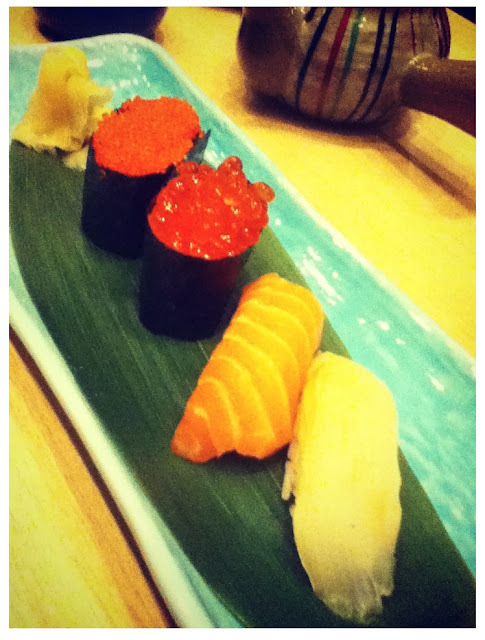 It goes the same with the hirame sushi. Ahh~ I still remember how they tasted like. The waiter (or is he a chef???) 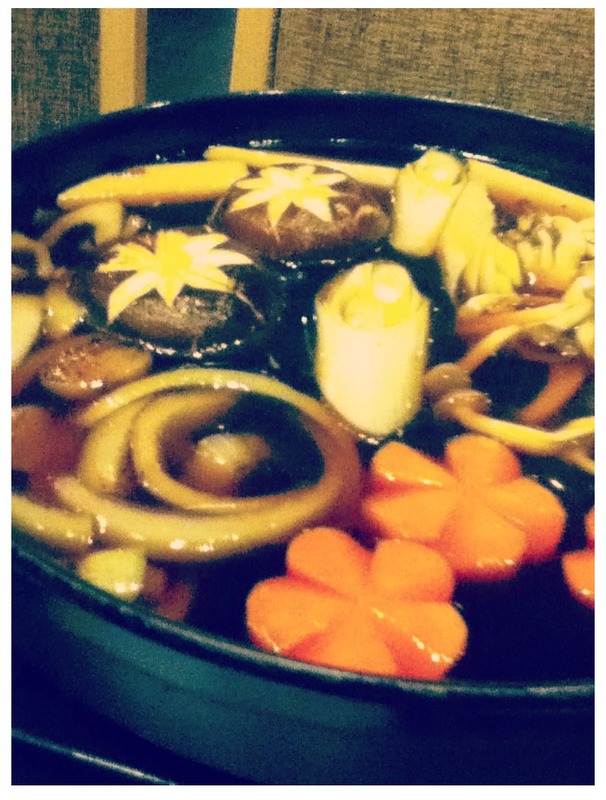 helped us cook our Sukiyaki, in front of us. lol. 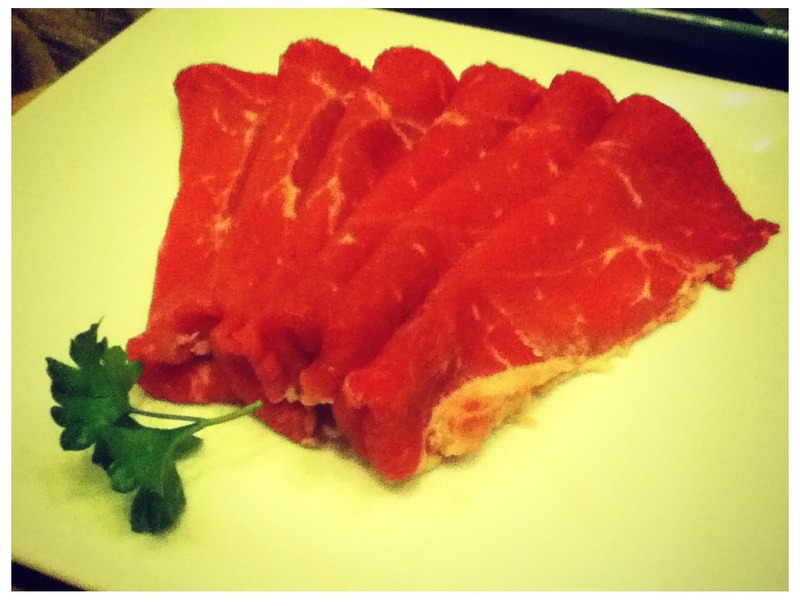 Super duper nice looking wagyu beef~! 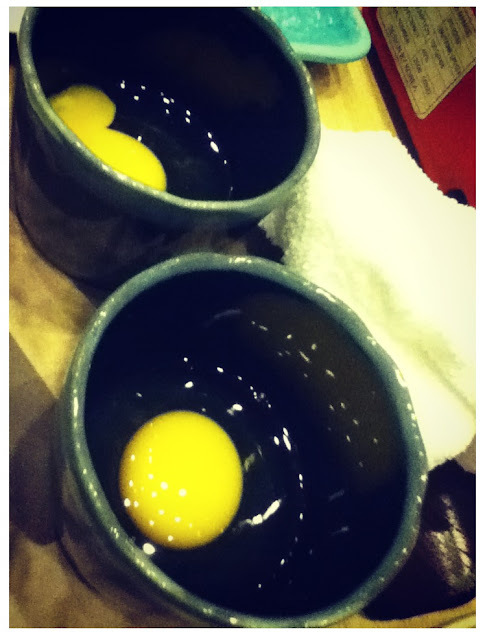 Some raw eggs to add into our bowl of Sukiyaki. 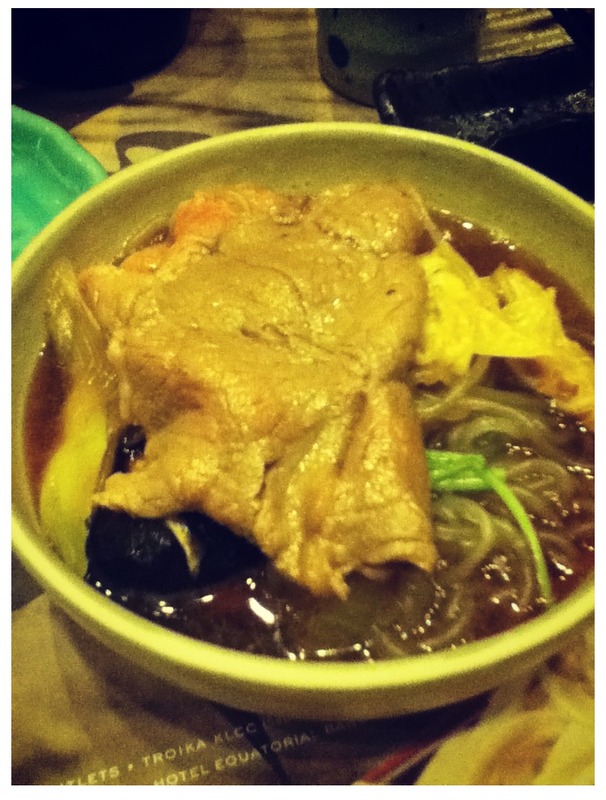 This is how Sukiyaki looks like. Actually to cook Sukiyaki is kinda simple, you just add the vege and add Sukiyaki sauce into the pan gradually and that's it. lol. After the sauce were boiling hot, dip the beef in the boiling sauce for awhile, be sure not to overcook the beef (if you like medium well cook ones like me). 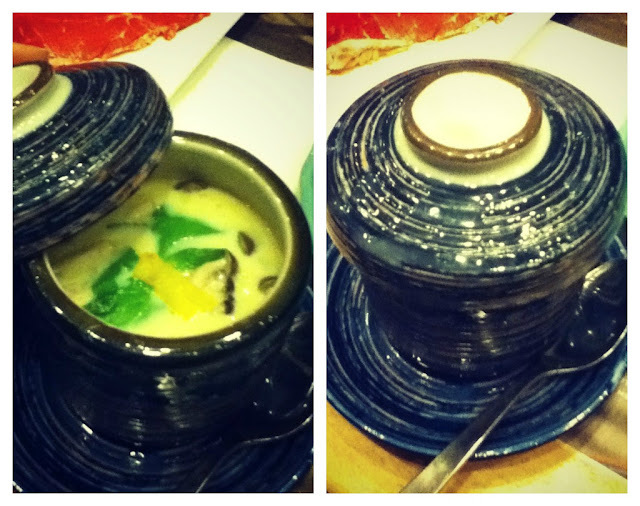 Raw egg are meant to add into the bowl, not into the cooking pan. I'm quite a big fan of Mentako after trying it at Sushi Zanmai. Been constantly searching it everytime I'm in a Japanese restaurant, trying to find and order one or two mentaiko dishes, but this.... Kinda made me feel geli. 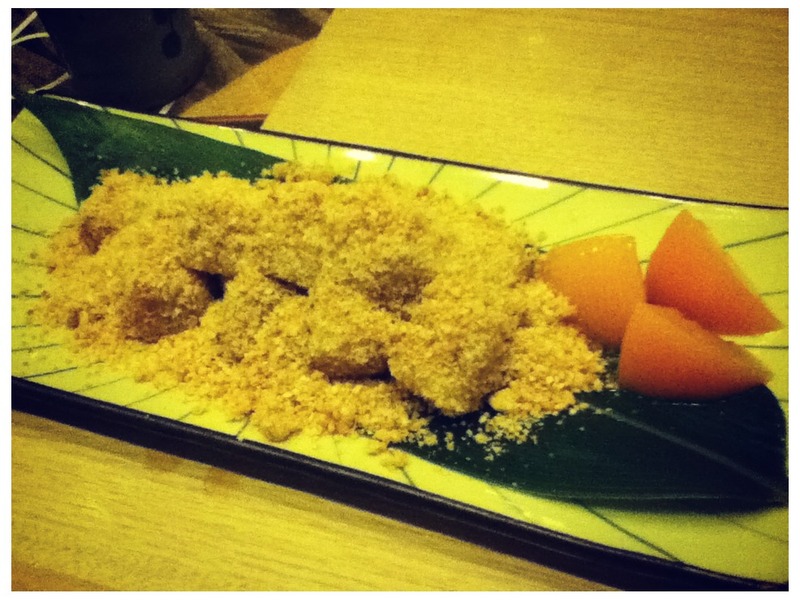 Warm glutinous rice cake covered in crushed sweetened cashew nuts sesame seeds. Soft and nice. Probably some of you may think mochi can be bought in Petaling Street or night market hahahaha but this is the only non-ice-cream dessert they have on their menu, so... lol. Minus the Mentaiyaki tasted a tad bit funky, I'm quite satisfied with this dining experience. 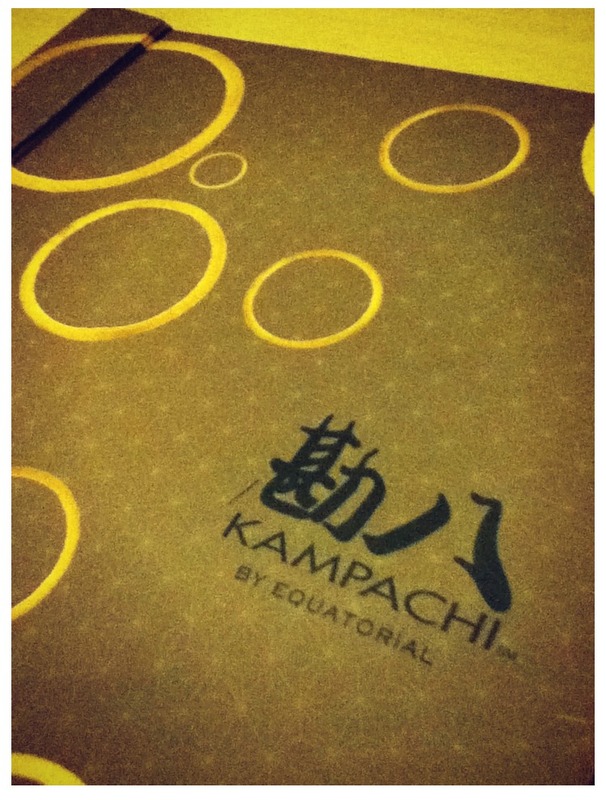 Some say the original Kampachi restaurant that located inside Equatorial Hotel, their dishes tasted even better.